French center with Catalan roots, this young player is one of the top French talents in recent years. His mix of skill and technique make him a very versatile player on attack, and a great defender. Ludovic Fàbregas was born in Perpignan, France on January 1, 1996. An enthusiast of motorsports, he left motorcycle trials to dedicate himself professionally to handball. When he was 15 he was already 180 cm tall. Fàbregas joined the MHB Training Center in Montpelier, where he developed as a player. At the age of just 17, he debuted with the senior French national team, where he shared experiences with legends such as the former Barça player Karabatic, as well as Omeyer and Narcisse. In recent seasons, he made the leap to the first team in Montpellier, and in the last three seasons with the French team, he has won awards like the season's best center and defender in the French League. In the 2017/18 season, he won the EHF Champions League, one of the greatest triumphs of his career. In addition, his international successes are also well-known. Ludovic Fàbregas won the silver medal at the Rio Olympic Games and the gold medal at the 2017 World Cup. 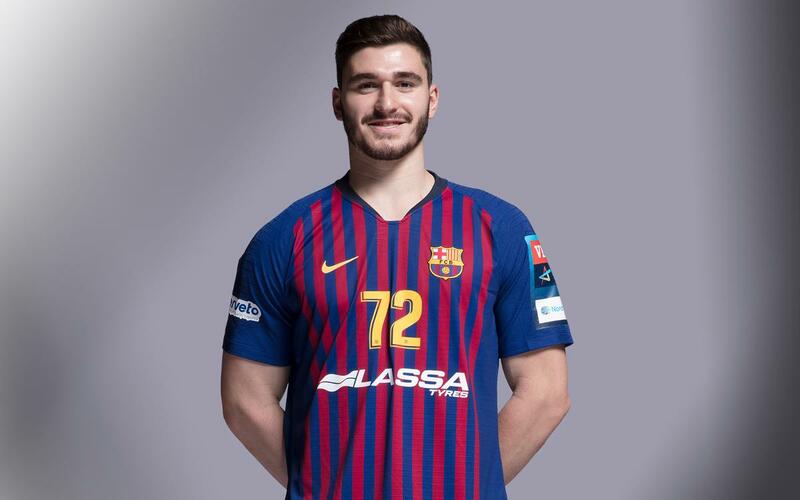 In the summer of 2018, he joined Barça Lassa for three seasons. He is a young and talented center, with the potential to be one of the best French players in the future. Fàbregas stands out for his mobility on attack and his great defensive work.